Ghidorah’s ethereal glow is really visually appealing and the long snake like heads are very visually different from any Ghidorah we’ve seen in the past. He also seems to be able to change his density in some way since we see Ghidorah bite Godzilla but Godzilla’s hand passes right through it. People worried that Ghidorah and Godzilla aren’t going to fight at all should be put at ease by this trailer. 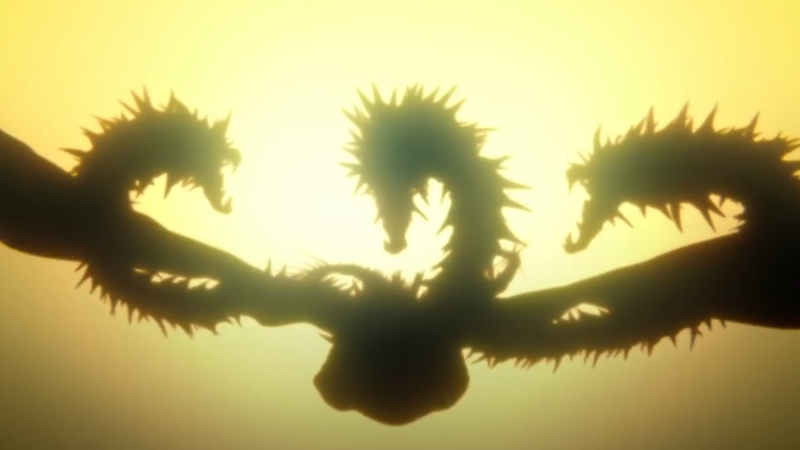 Also we do get a glimpse of Ghidorah having some sort of traditional body. What do you guys think of the trailer? Are you excited to see the conclusion to the trilogy?